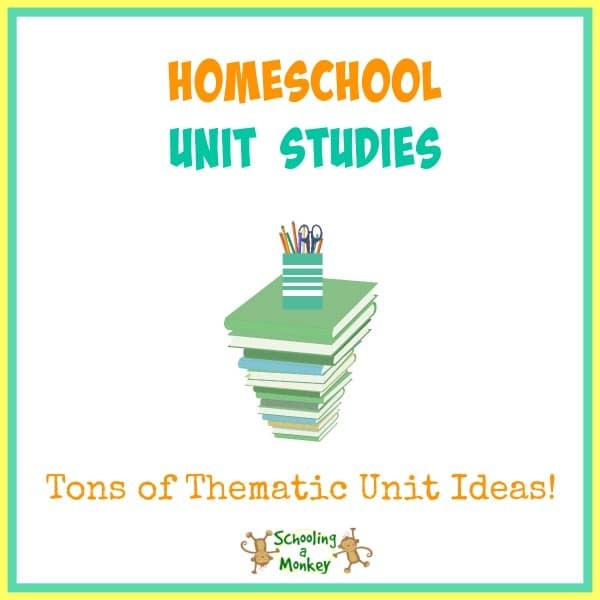 Thematic units are the perfect way to learn more about a subject. This soup can money worksheet is a great way to teach PEMDAS skills in a soup theme. Monkey is now in fifth grade, which means that suddenly, math is a lot harder. She’s doing wonderfully though, thanks to our hands-on math activities and math fact drills that we do every day. One of the concepts introduced to her this year is the order of operations, also known as PEMDAS. 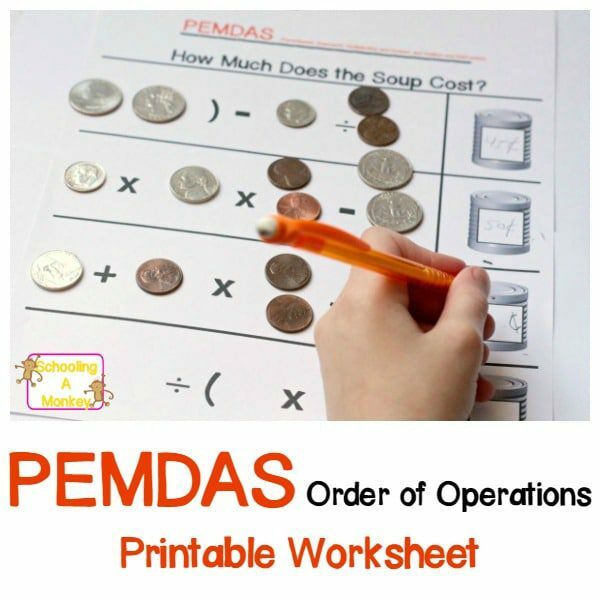 I made this fun soup-themed monkey worksheet to learn more about the order of operations, PEMDAS, and money all at the same time. You can use our printable to create open-ended PEMDAS problems. First, download the PEMDAS worksheet here and print it. The money worksheet is blank so you can make up your own problems. PEMDAS (Please Excuse My Dear Aunt Sally) is the order of math operations, which is parentheses, exponents, multiplication, division, addition, and subtraction. We’ve agreed universally to solve all math problems this way since the 1500s. Place money in each space in the worksheet to create different problems. 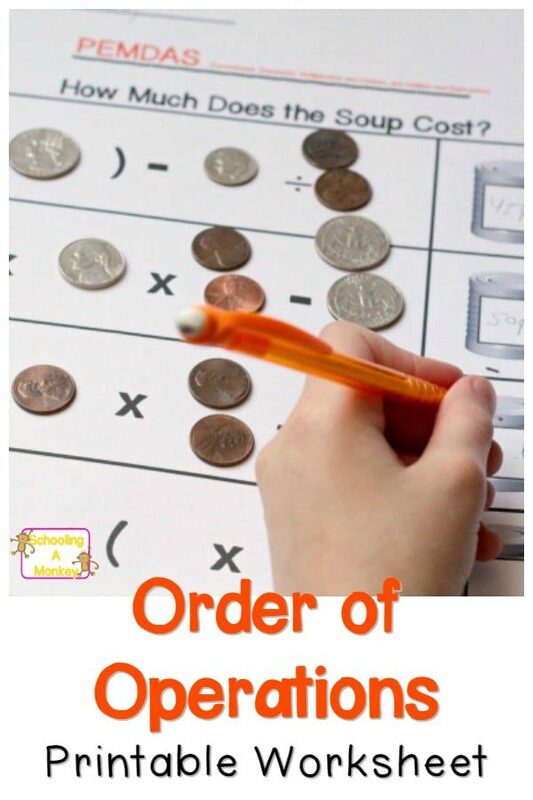 I love this worksheet because not only does it teach order of operations, but it also requires STEM skills because when children make up their own problems (or you), critical thinking is required to determine if the problem can actually be solved as it appears with the combination of the money you’ve used. It took Monkey and I about as much thinking to come up with our money problems as it did to solve them. We had a lot of fun planning math problems using this open-ended worksheet. If you laminate the worksheet, you can wipe away the answer and use it an unlimited number of times.